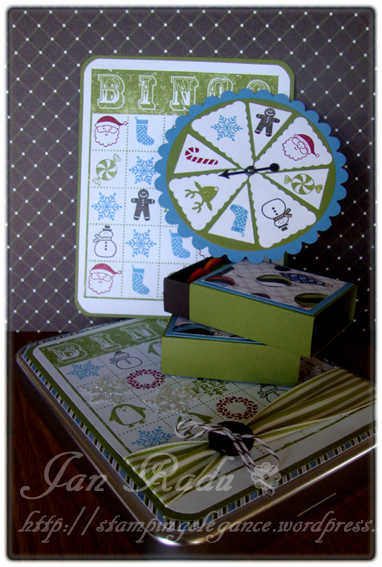 I am excited to share something a little different with you today… Last weekend I had a fantastic crafting weekend at Avalon Homestead in Toodyay and this was one of the projects on my list that i had to try…A Bingo Game using Jolly Bingo Bits and the Bingo Background stamp, with a game spinner from Stampin’ Up! 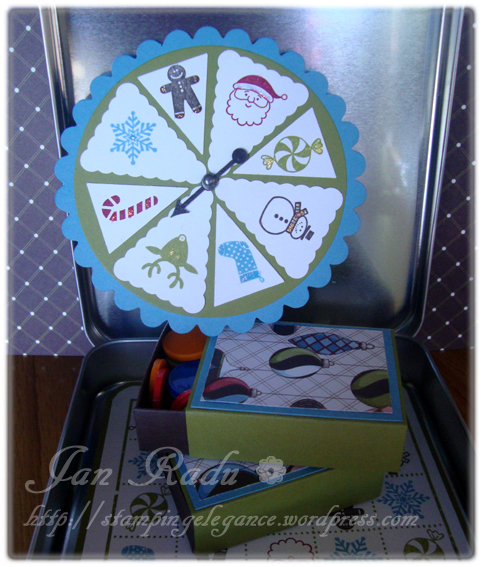 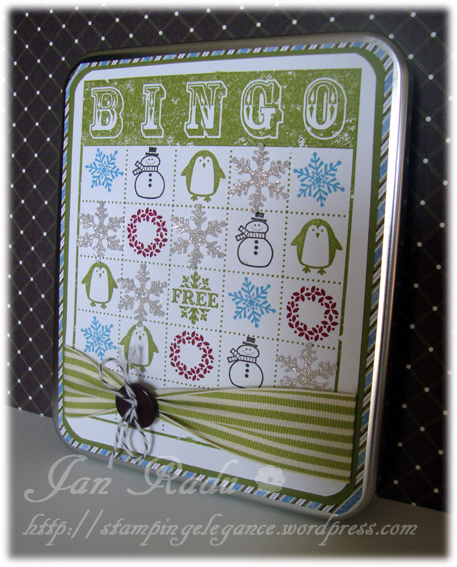 I started by decorating a metal tin with the Bingo stamp and a few glittery snowflakes, and then created 4 game cards (all using a different combination of stamped imges from Jolly Bingo Bits), a Game Spinner using the Penants Builder Punch and a Game Spinner, and then matchboxes to house a set of counters that I ordered from eBay. 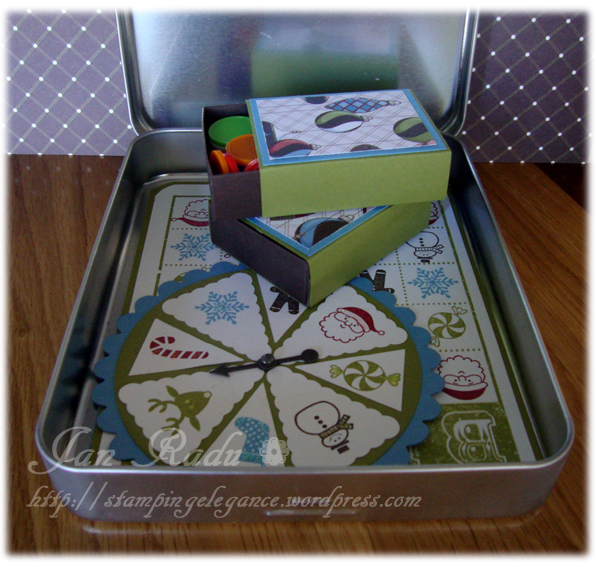 I love thinking outside of the box and trying projects other than Cards and Scrapbook Pages – hope this inspires you too! 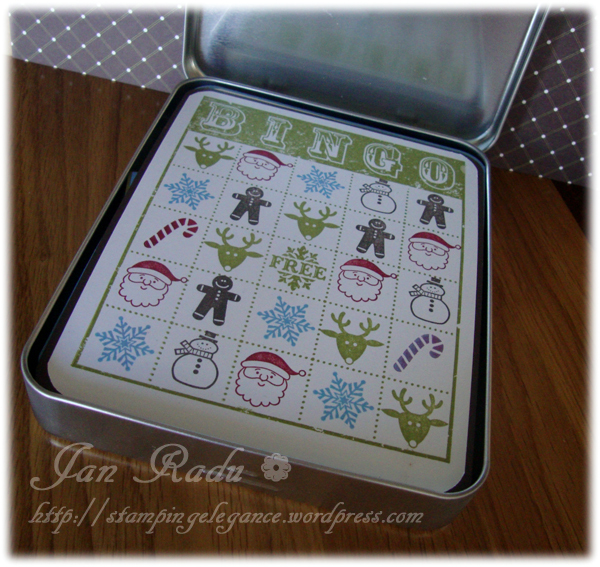 I was wondering where u got the tins from?